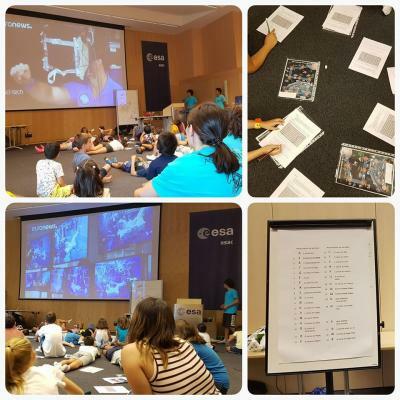 The 3rd Space Summer School with Captain Lili took place at the European Space Astronomy Centre (ESAC) from the European Space Agency (ESA), placed in Villafranca del Castillo (Madrid). 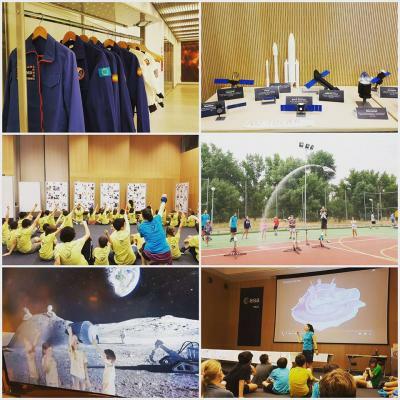 Over 90 children divided in two fortnights, learned about Space and Space exploration with different activities, from designing and launching rockets, 3D design, 3D printing, robotics, virtual reality, to laboratory experiments and astronaut training, during which we trained equilibrium, force, resistance, coordination and other things required in Space. 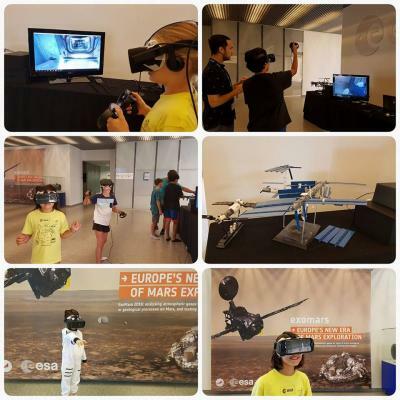 Our little astronauts lived amazing experiences such as being the first children to visit the Moon or planet Mars. 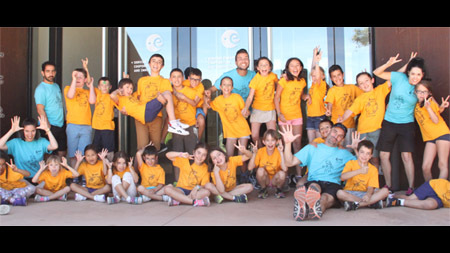 An exciting educative experience that awakens kids interest in science, Space, and the world around us, thanks also to the CESAR project that give support for the Space Summer School. Also, Pedro Duque (spaniard astronaut) visited us and gave us a tour through the ISS (International Space Station) thanks to virtual reality. 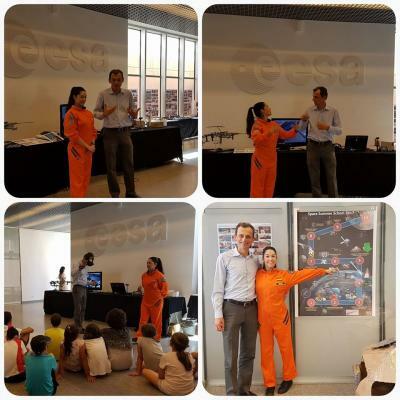 Then, the younger astronauts made their own tour and behaved like real astronauts thanks to Pedro's advices. 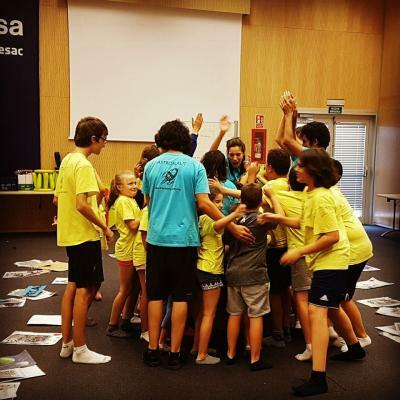 Definitely it was a very complete Space Summer School, and it took place in a perfect location, and with the best team thanks to Astronaut Lili and its educational project. 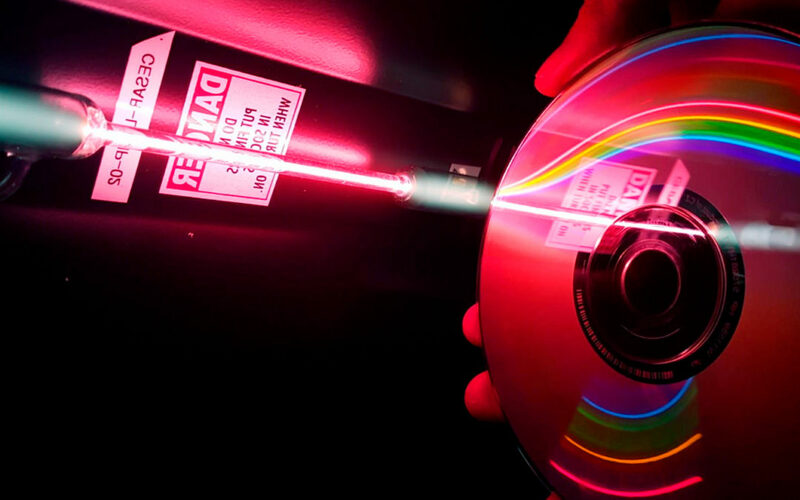 Emotive goodby between future astronauts. They all learned a lot, but moreover the made great friends.